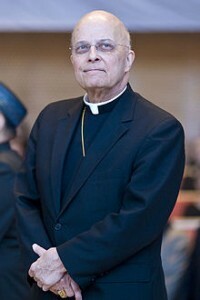 CHICAGO – Truth Wins Out stepped up its campaign calling on Chicago Archbishop Cardinal Francis George to resign today by placing a full-page ad in this upcoming Sunday’s Chicago Tribune. 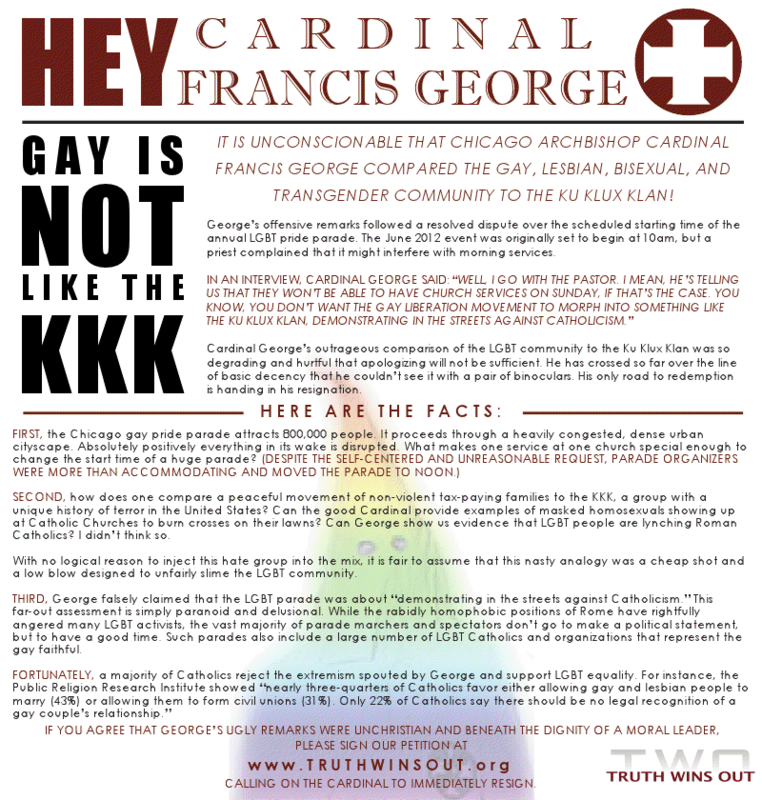 The ad is headlined, “Hey, Cardinal Francis George, Gay is not like the KKK,” and slams the Cardinal for foolishly comparing the LGBT community to the Ku Klux Klan. It satirically includes a picture of a rainbow-robed Klansman and debunks the lies and misinformation disseminated by the Archbishop about the LGBT community. The ad comes as an online TWO petition calling on George to step down has reached more than 4,000 signatures. Earlier in the year, TWO launched a 160,000-signature Change.org petition that helped persuade Apple, Inc. to eliminate an “ex-gay” iPhone app by the group Exodus International.